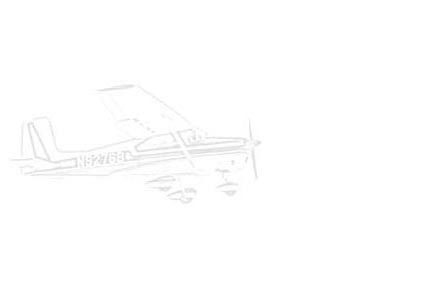 The Bluelick Flying Club consists of a group of aviation enthusiasts who share a common interest in general aviation and aircraft. Most of the members are pilots or student pilots, and a few members find themselves in the exploratory stage of their newfound interest. Only a few members are professional pilots by trade, and the remainder fly recreationally but with a very professional attitude toward our sport and hobby. We take flying seriously at Bluelick. The airstrip is turf. Runway 11/29 is 2000 feet long, 100 feet wide. We are the only airport in Bullitt County, Kentucky. Our official designation is 07KY and our Unicom freqency is 122.8. Grass strips of this size are common throughout the country, but what makes Bluelick unique is its location. 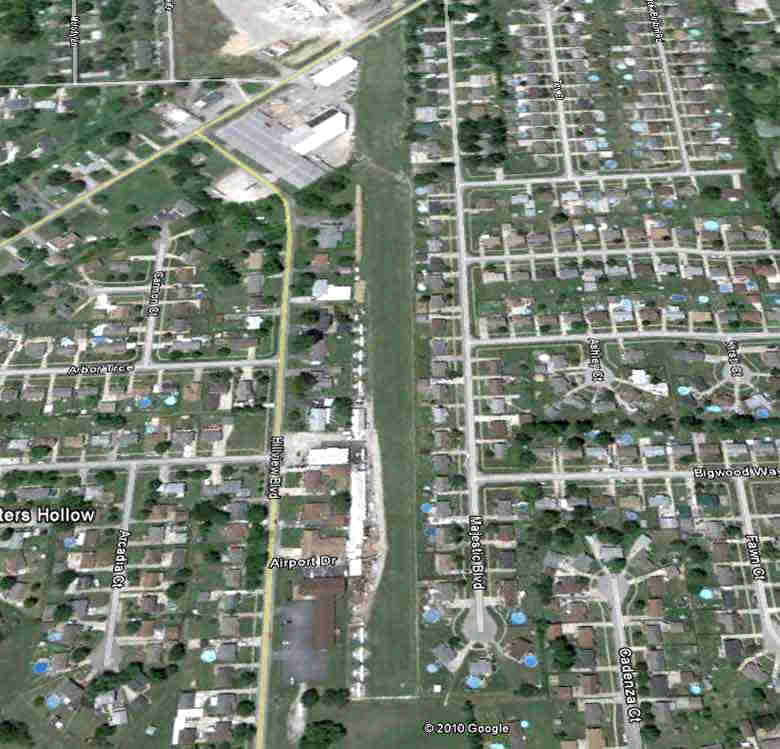 We are situated in a residential neighborhood with backyards adjacent to the runway. We are also only 7 miles south of Louisville International Airport, almost directly beneath the commonly used departure and arrival paths of Louisville International Airport. This requires special attention to overhead commercial traffic. The only thing separating our runway from our neighbors yards is a short chain link fence. Because of this closeness with our neighbors takeoff and landing at Bluelick can at first appear intimidating even to the experienced pilot. Safety is our number one priority and proper flying technique for this unique location must be demonstrated or verified by the owner Thomas Jean before solo takeoff and landings are exercised at Bluelick. Number two priority is fostering and maintaining a good relationship with our community and neighbors by demonstrating respect and courtesy. We conduct a daylight only operation and remain conscious of noise abatement and prop blast into our neighbors yards. Maintaining a good relationship with our community is paramount. The club has a very modest membership fee of $4 each month which is used to pay insurance and other expenses. We remain committed to minimizing the cost of flying by participating in club chores. Members cut and trim grass and perform other chores as necessary. Club membership and participation offers camaraderie, fun and sometimes hard work but, above all that, another tremendous benefit is that Tom Jean is a licensed A&P (1-A) mechanic so airplane repair and maintenance up to and including major overhaul is conducted right on the premises.